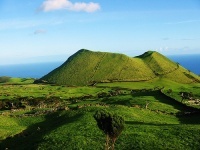 The nine volcanic islands of the Azores archipelago offer up a variety of things to see and do for travellers to its shores. With hundreds of resorts, the year-round warmth certainly suits the sun-loving visitor as they are never far away from a beautiful beach on which to laze. 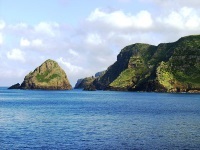 On popular resort island São Miguel, there are endless activities and sights for the traveller to explore: mountain biking, golfing on world-class courses, horse-riding on the beach and whale watching from a boat cruise. In this sense, Ponta Delgada on São Miguel, makes a good base from which to explore the other eight islands of the Azores. The town of Ponta Delgada has a variety of cultural sights such as a bustling town square filled with markets, the charming Chapel of Nossa Senhora da Esperanca, and a harbour boasting the imposing fortress of São Brás. 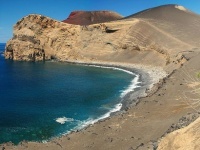 From this base, which has its own airport chartering international flights, one can explore the surrounding islands, such as the picturesque Graciosa, sporting stunning turquoise waters and a pale white landscape. 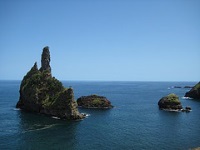 Alternatively, one can visit the historic centre of Terceira's capital town, Angra do Heroísmo, which has been classified as a UNESCO World Heritage Site.